If you know how to pronounce Cthulhu, chances are youÕre a fan of H.P. Lovecraft's works of "horror fiction." For those unfamiliar with this horrific cosmic entity, let's just say it would make for a very unpleasant dinner guest. 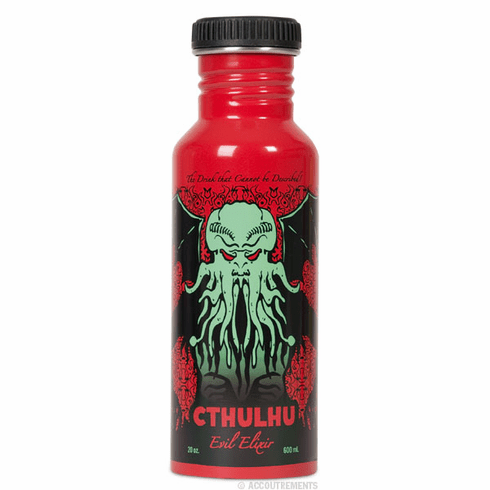 Each 8-1/2" (21.6 cm) tall, empty, stainless steel bottle advertises Cthulhu Evil Elixir and features our interpretation of what the ghastly beast might look like. Holds 20 oz. (600 mL) of your favorite liquid refreshment.